It’s always a good idea to network with like-minded professionals in your industry. Not only can it lead to amazing new opportunities, you can learn a lot from your peers. These days we have access to one of the greatest networking tools out there—the Internet. Just as it’s important to network person-to-person, it’s also a great idea to seek out professional communities online. 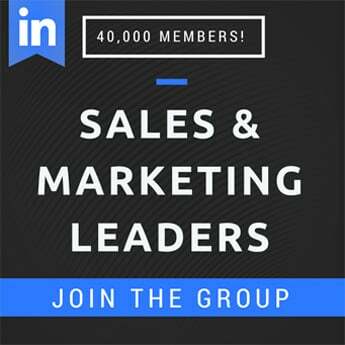 Online Geniuses is an internet marketing community on Slack, an online platform for team communication. OG, as I like to call it, is “a community of link-minded individuals who come together to debate trends, discuss the latest industry topics, network, and learn from each other.” Because it’s on Slack, all of this chatting happens between hundreds of SEOs and internet marketers in real time. Although not as collaborative as some of the other platforms, there are some great nuggets of advice to be found on Reddit. 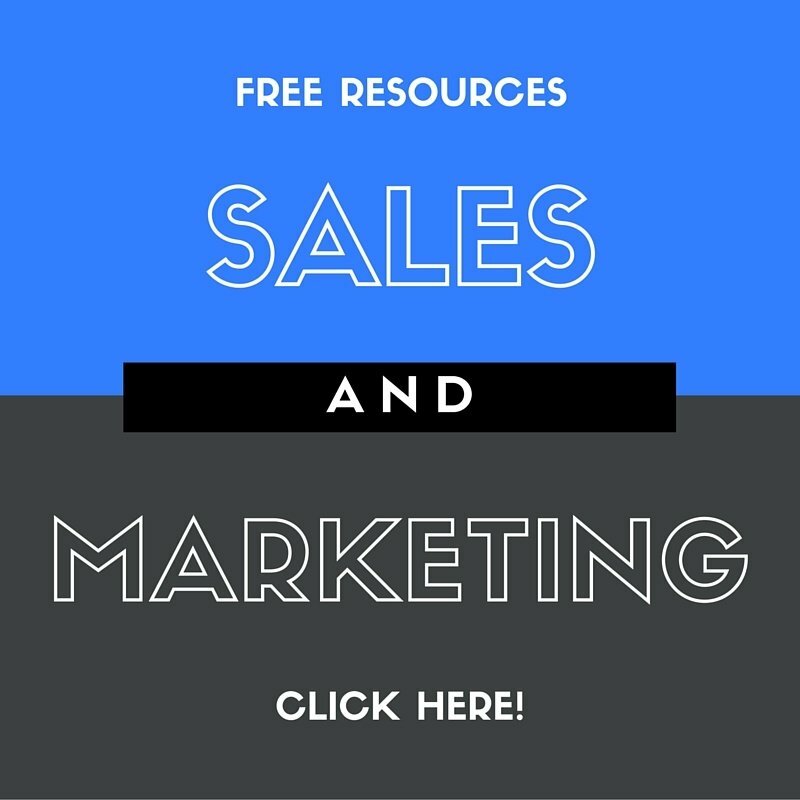 The r/marketing subreddit “is for interesting marketing articles and discussions.” Some related subreddits include r/SEO, r/socialmedia and r/webmarketing. Be careful not to post links to your own site however; Reddit is brutal with self-promoters!! I’m fairly new to Quibb, as I joined after doing research for this article. At first glance, it looks like an endless stream of links, comments, and articles; kind of like your personal Quora home page. Basically, Quibb is “a professional network to share industry news and analysis.” Don’t be deterred by their 43% acceptance rate. I applied one afternoon and was discouraged after reading “There's currently 27,751 people in line with a 43% acceptance rate. 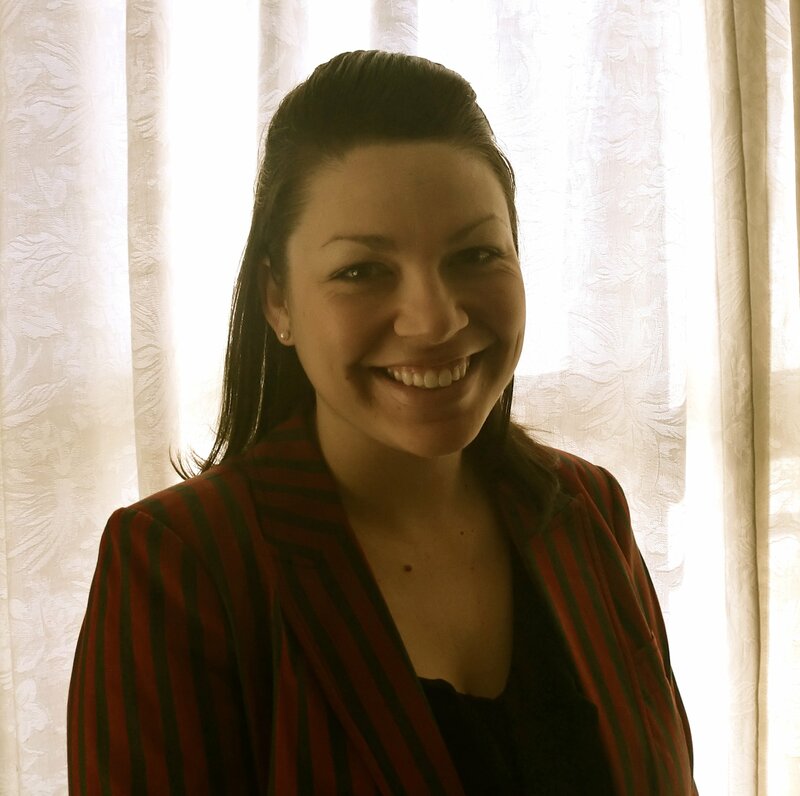 Every application is manually reviewed.” However, I was accepted the next day. 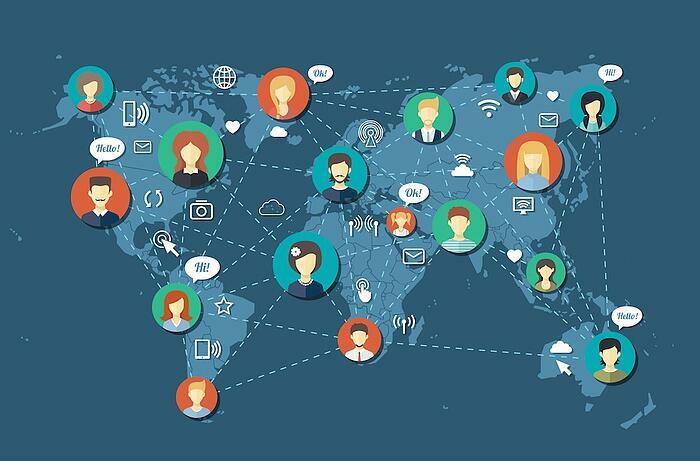 Now that you know five of the best inbound marketing communities out there, here are seven reasons why being a member is so awesome! Being active and keeping up to date with your chosen inbound marketing communities will mean you’re the first to hear news in your industry. You’ll also be aware of any game-changing algorithm updates (and how to beat them!). There are lots of big guns that are members of these communities. For example Dharmesh Shah, the co-founder and CTO of Hubspot, regularly writes posts and shares links on Inbound.org. Similarly, Sean Ellis, the man who coined the term “growth hacking” and who heads up both Qualaroo and GrowthHackers.com, comments three to five times a day on different posts. Usually when people think of an AMA (Ask Me Anything) they think of celebrities promoting their movies on Reddit. Now take that form of open dialogue and hone it in on a niche industry. Some amazing AMAs I’ve recently taken part in included one with the Buffer team and another with Joe Chernov, the VP of Content at Hubspot. Other notable AMAs on Inbound and GrowthHackers include those with Rand Fishkin (mastermind behind Moz), Ryan Hoover (founder of Product Hunt), and Bill Macaitis (CMO of Slack). Do you have a blog topic in mind but want input from other inbound marketing professionals? Use your community to post a question and get some awesome feedback. Whether you’re writing an article and want crowd-sourced advice or simply want to see if anyone has a different approach to the subject matter, community forums are great places to throw out ideas and see which ones stick. Guess what? 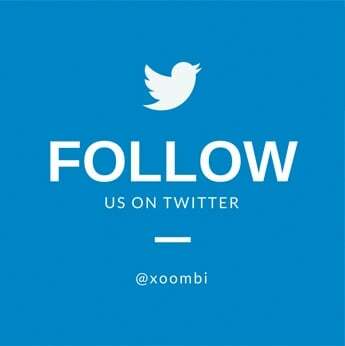 I found my job with xoombi on Inbound.org! Now do you understand why I’m going on and on about these communities?! Both Inbound and GrowthHackers have awesome job boards where you can search by category (community management, content, design, development, marketing, SEO, etc) and location. Due to my level of participation in the Inbound.org community, I recently received a free Inbound shirt in the mail. I also entered to win a free ticket to the Conversion Road Trip on the site and won! These communities want active members and reward them accordingly. So if you do decide to join one, make sure to add something valuable to the conversation and maybe you’ll get a free t-shirt too! 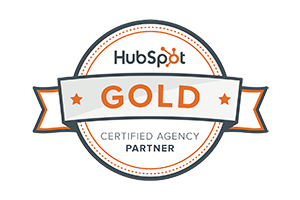 I was also recently approached by a Senior Inbound Marketing Professor at Hubspot to see if I’d be interested in running workshops or speaking about Inbound. This was due to either my Inbound.org karma or certification badges. Once again, participating in these awesome communities really pays off! 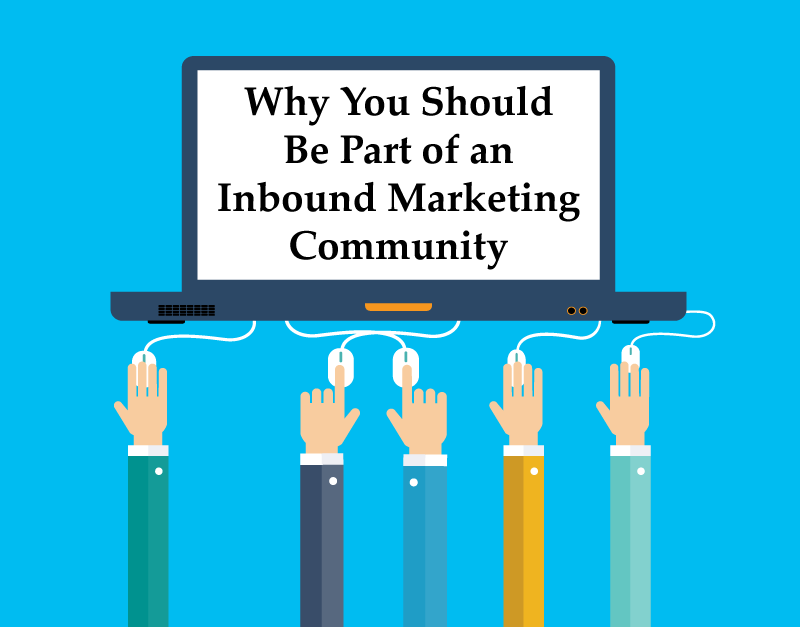 There are a lot of perks to joining an inbound marketing community. Not only can you learn a lot from your peers, you can create and foster professional relationships that can help enrich and further your career. What’s more, those you actively help and interact with may be more inclined to share your posts, thereby increasing your online audience. Whichever community you choose, make sure to friend or follow me and feel free to ask me any questions!